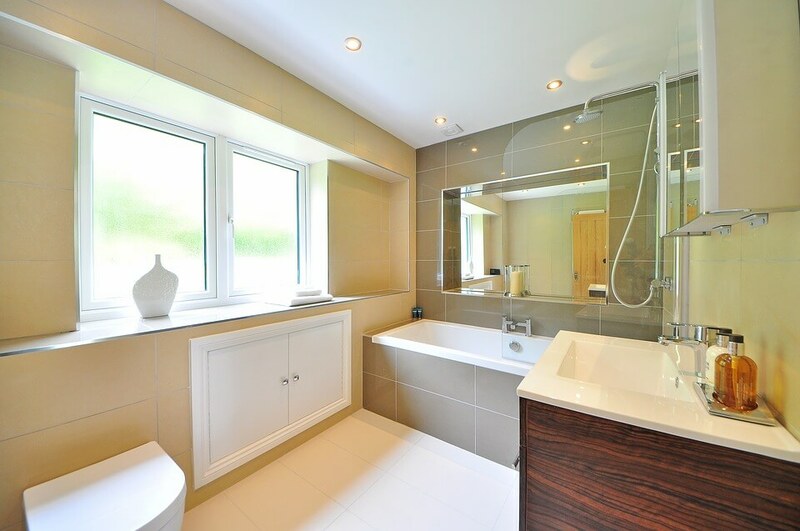 Utilizing tiles for shower surfaces and bath surrounds is a terrific option if you’re looking into remodeling or renovating your bathroom. Tile is easy to clean, fairly inexpensive to install and can add a distinguished look to your shower or bath. Depending on your budget and the look you’re going for, you can choose from ceramic, porcelain and glass tiles. Make sure you’re choosing a glazed tile for your shower surround as these are water resistant and will prove more durable in the long run. Below are some shower tile ideas to consider for your bathroom renovation. Although this portion of the wall might be constantly covered with the shower curtain or enclosure, it’s still important to have a tile design in your shower surround that complements the rest of your bathroom design, yet holds up to the wear and tear that comes with daily showering.